Charleston Culinary Tours presents the second Fresh at the Farm Dinner of the series that will be held on August 3rd at Geechie Boy Farm on Edisto Island, SC. Chef Stephen Thompson of Prohibition and Chef Joe DiMiao of Stars Restaurant will set the scene for a true farm-to-table experience. The dinner structure is a cocktail hour and hors d’ oeuvres from 5:30 to 6:30 pm and then a family style dinner from 6:30 to 8:30 pm. 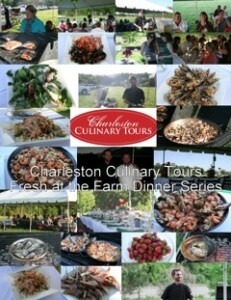 Tickets are available for the August 3rd dinner at a cost of $75/person and may be purchased at www.charlestonculinarytours.com. The final dinner in the 2014 series will be held on November 2nd at Celestial Hills Farm in Huger, SC. With years of hands-on experience in a variety of different kitchens and atmospheres, Chef Stephen Thompson has been able to really let his creativity shine at Prohibition. 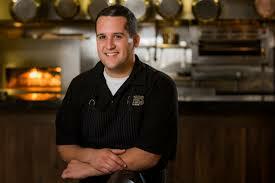 For Chef Thompson, the art of preparing food is more than just a job or even a passion as it’s a way of life. As classmates at the Art Institute of Charleston, Thompson and Chef Joe DiMaio and have always enjoyed a close relationship and supported one another as each worked up through Charleston’s culinary ranks. Known for innovation in the kitchen and a commitment to using fresh, locally sourced ingredients, Chef DiMaio jumped at the opportunity to co-host one of the dinners in the series. Geechie Boy Farm proprietors Greg and Betsy Johnsman returned to the Edisto Island family farm in 2003, growing a variety of vegetables. In 2007, they acquired a 1945 gristmill and after some trial and error began producing grits and cornmeal. 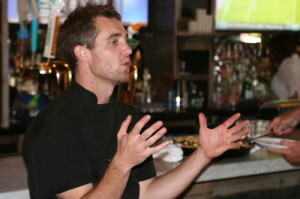 Greg’s commitment to traditional milling techniques has been embraced by chefs across the Lowcountry. 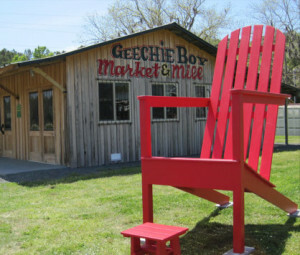 Geechie Boy products are now served in more than 40 restaurants around South Carolina and are shipped nationwide. For additional information about the Fresh at the Farm Dinner Series, please visit www.charlestonculinarytours.com/fresh-at-the-farm-dinner-series. This entry was posted on June 25, 2014 at 3:12 pm and is filed under Sales & Events with tags Art Institute of Charleston, Celestial Hills Farm, charleston culinary, CHARLESTON CULINARY TOURS, charleston dining, charleston farm to table, charleston food, Chef Joe DiMaio, Chef Stephen Thompson, Fresh at the Farm, Fresh at the Farm Dinner in Series, Geechie Boy Farm, Geechie Boy mill, Greg and Betsy Johnsman, Huger, Prohibition charleston, SC, Stars restaurant. You can follow any responses to this entry through the RSS 2.0 feed. You can leave a response, or trackback from your own site.